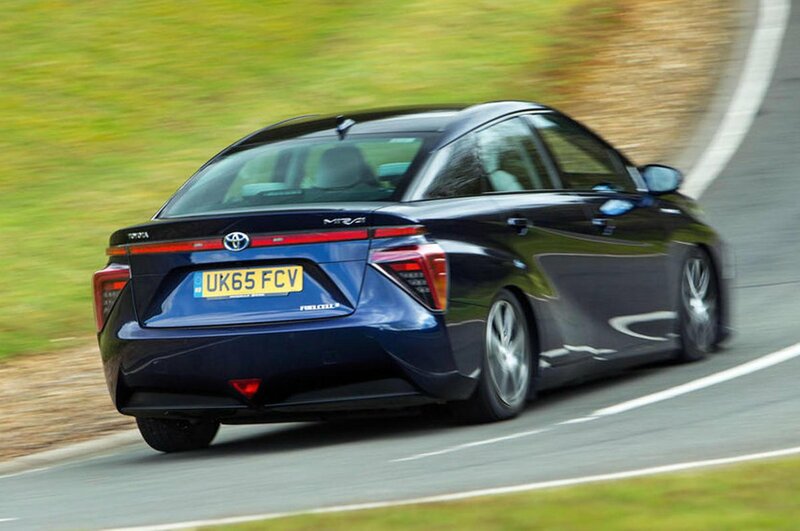 Toyota Mirai Boot Space, Size, Seats | What Car? 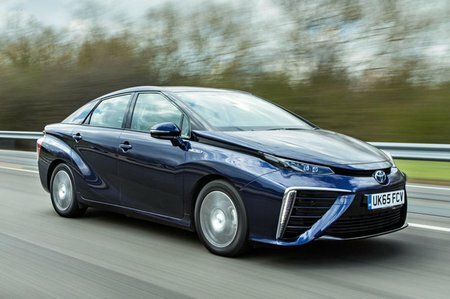 In this respect, the Mirai is much like a Tardis but in reverse. 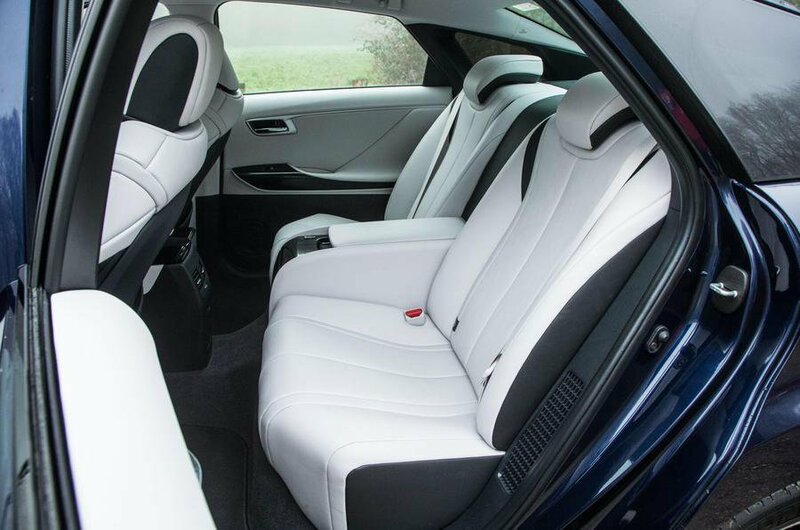 It may be big on the outside, but room inside is surprisingly tight due to the twin hydrogen tanks and battery pack mounted between the rear seats and boot. Head room is good in the back and there’s decent leg room but you can’t put your feet under the front seats because of the fuel cell. This means even shorter adults can’t stretch out their legs for additional comfort. The battery and tanks also mean there’s only room for two in the back and there’s no way of folding the seats down to increase luggage capacity. Open the conventional boot lid and you’ll find a cargo area that’s oddly shaped and smaller than you’d get on a much smaller VW Golf. Up front there is plenty of head room even for tall adults and lots of adjustment for the seats and steering wheel. These are moved around electrically and have a couple of memory settings. Even with the seat as low as it will go, you sit higher than regular cars if not quite SUV tall. Visibility is good although you won’t be able to see the end of the bonnet or where the rear of the car is. Thankfully you do get rear parking sensors and a rear-view camera as standard.